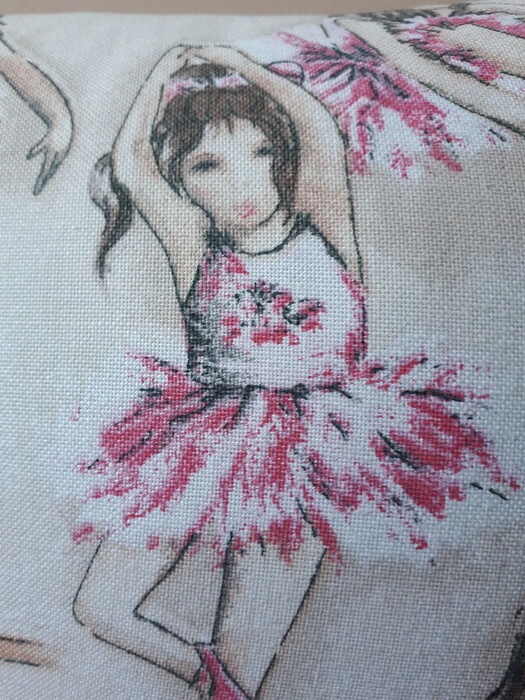 This beautiful cushion would be a lovely gift for the dancer in your life. 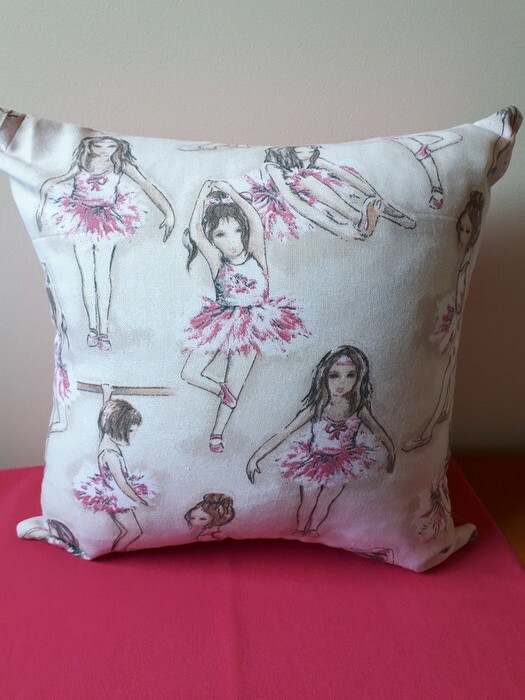 The front is cream, taupe and pink ballerinas depicted on 100% cotton canvas. 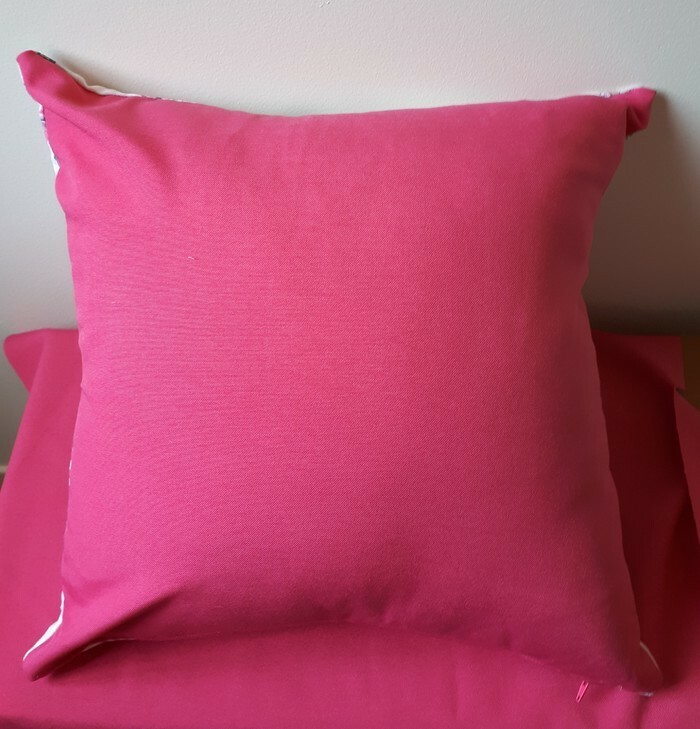 It is backed with a hot pink fade stain and water resistant outdoor fabric which is also durable. 100% Polyester. Warm iron if required on canvas side. 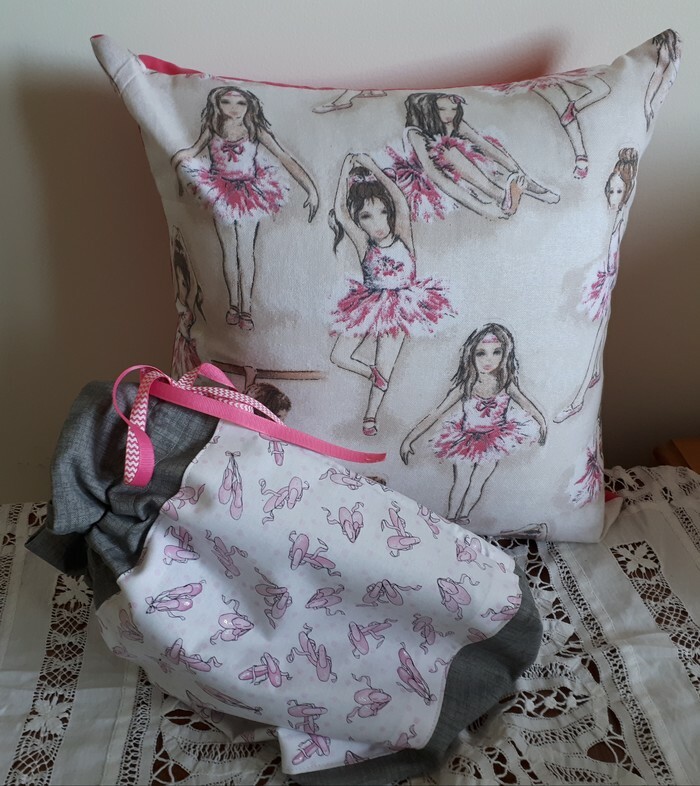 Add the Ballet Shoe Bag as a lovely additional gift.